Premium Quality Ceiling Fan with 2 years replacement guarantee. Metallic Finish Colour, anti dust having high air delivery. 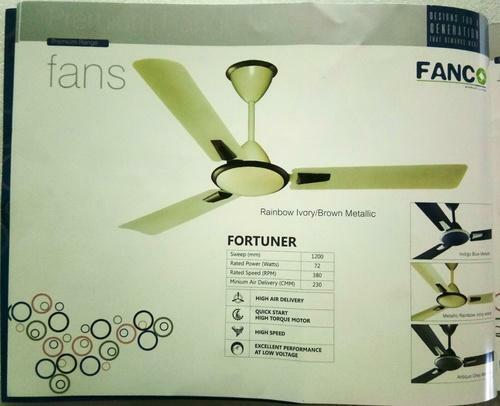 Comes in 3 metallic colors:- Rainbow Ivory Metallic , Antique Grey Metallic and Indigo Blue Metallic. Quick Start High Torque Motor built using 210gms Pure Copper Winding. Excellent Performance at Low Voltage.